Here's your AI companion. Fans of the Destiny games know how intrinsic the Ghosts are to the Guardians and their duty. Created by The Traveler to revive the ancient Guardians, the Ghosts are invaluable companions, providing insight and utilities to the player wherever their quest may take them. 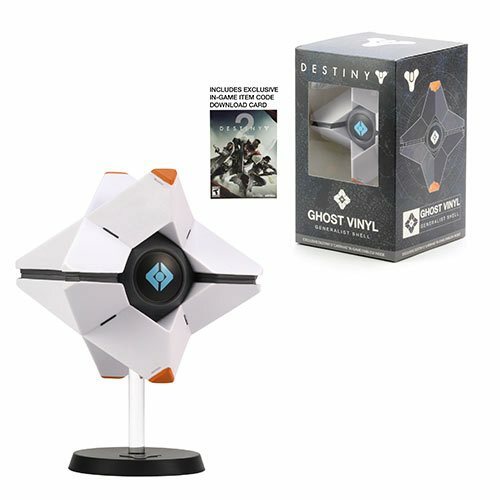 This Destiny Generalist Ghost Vinyl Figure comes with Carrhae Emblem DLC and includes a base and clear post to simulate levitation while on display. Measures approximately 7 1/4-inches tall x 5-inches wide x 4-inches long. Ages 14 and up.